Doing business with Mexico requires services that are designed to consolidate Mexico’s export capacity and facilitate its access to international markets. With 38 offices strategically located around the world, ten of which are in the United States, the Trade Commission of Mexico offices act as a promotional arm on behalf of Mexican exporters and as a liaison for foreign investors interested in pursuing opportunities in Mexico. ¨ The Trade Opportunities Program (known as TOP) was established to assist companies in importing products from Mexico or in representing Mexican companies in the U.S. The Trade Commission of Mexico offices network headquarted in Mexico City with 41 regional offices scattered throughout Mexico’s most important trade and investment markets. Founded in 1937, the Bank is a federal financial institution in charge of extending credits, guarantees and promotional services, in support of investment opportunities in Mexico and its foreign trade. Services provided by the bank include extending export and import credits for non-oil goods and services, providing comprehensive financing to increase the country’s range of goods available for export, and establishing guarantees to protect against non-payment risks in foreign trade. Such services are designed to meet the needs of public and private sector enterprises, marketing firms and companies involved in manufacturing and marketing value-added goods and services in general, ranging from agricultural commodities to electronic products, automobile parts and services in fields such as tourism, engineering and construction. Most of the Bank’s transactions are carried out through the existing banking infrastructure, the main sources of funding being its own capital, foreign credit and funds stemming from its operations. BANCOMEXT also offers promotion, information, training and advisory services in the financial, commercial and legal fields, in order to facilitate business transactions and foreign investment. Such activities are undertaken in close cooperation with the agents involved in Mexico’s efforts to develop foreign trade. Mexico’s modernization and liberalization process has given rise to attractive trade and investment opportunities. Trade liberalization, non-oil exports and the promotion of foreign investment are the cornerstone of the outward-oriented strategy now being followed, the result of which has been improved access to an efficient use of funds. The range of exportable goods are continuously being evaluated. They identify companies that are entering the export field for the first time and those with the potential to efficiently meet foreign demands.The latest information systems receive data on international bids for infrastructure projects and the construction of industrial plants and oil-drilling platforms in various countries, and relay such information to companies, chambers of commerce and trade associations. Specialized courses are available for companies, chambers of commerce, trade associations, and full-service banking institutions at the Technical Training Institute for Foreign Trade Development (Instituto de Formación Técnica para el Desarrollo del Comercio Exterior). These courses are organized both within Mexico and abroad, such as seminars and lectures. Topics of special interest include “How to Export from Mexico”, “Foreign Investment in Mexico”, and “Setting Up In-Bond Industries in Mexico”. Over US$248 billion dollars worth of trade between the U.S. and Mexico were reported for 2000, as expected. Mexico is the second largest trading partner for the United States as an importer and exporter. This impending jump in trade rank for Mexico is the latest example of NAFTA’s remarkable contribution to Mexico-U.S. trade. Texas total exports to Mexico in 2000 were estimated at US$57.1 billion, accounting for 47% of the state’s total exports. Mexican exports to Texas for the same period were estimated at US$45 billion, one third of Mexican total exports to the U.S. Mexico continues to be the state’s most important customer. Texas is the largest U.S. state in exports to Mexico. Export estimates from Texas to Mexico for 2001 were expected to reach US$57 billion, and Mexican exports to Texas for the same period were expected to be US$49 billion, again representing one third of Mexican total exports to the U.S.. These programs have evolved from the original in-bond concept to encompass a broad package of export promotion incentives and to comply with international agreements. 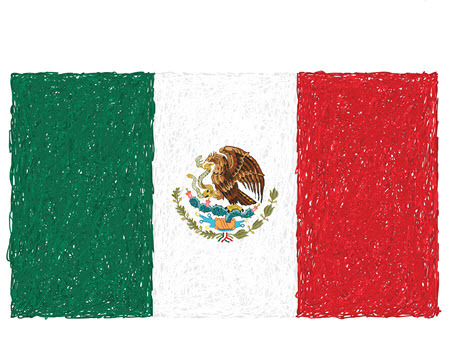 PITEX allows temporary production of goods for export by companies that comply with all of the Mexican taxation laws. PITEX supports export-oriented industry through duty exemptions for imports used to create exported products. Goods can also be shifted to the local market by paying duties and taxes as in the maquiladora program. Mexico extends similar benefits under related export promotion programs known as ALTEX and ECEX. As a footnote, it is important to remember that all raw materials originating from any of the three NAFTA countries pay no duties. But all raw materials originating from any other country, will pay a differential from the country that comes in, to the country that goes out.